When the shooter feels that a normal ‘flat’ sole doesn’t give enough contact with the sole. Our new X.9 YELLOW sole has a memory-effect. The foot sinks into the material and supports it. 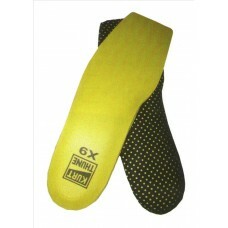 The bottom of X.9 YELLOW sole is made of perforated polyamide avoiding that the X.9 YELLOW sole stretches.